The men in red served up a pretty decent St Stephen’s day dinner for us a few days ago, making Leinster look like a bunch of headless turkeys (gettit?). New Years Eve brings an away trip to Galway to face a Connacht team with over twenty players on the injury list, most notably Bundee Aki, John Muldon & Ultan Dillane. The cupboard is so bare in the front row that poor John Andress hasn’t even been allowed to retire in peace, ironic indeed that he may make his PRO12 debut against his old employers this Saturday. 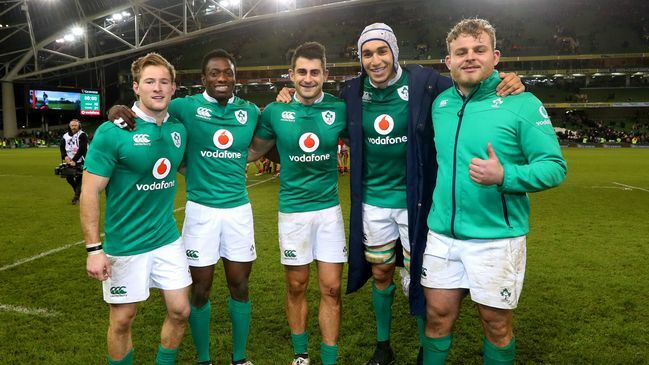 The IRFU’s player management program strikes again to rest Simon Zebo & CJ Stander for this fixture, while Rassie rings the changes himself, most notably the ever impressive Jaco Taute swaps with Francis Saili from starting XV to bench. Munster have had a perfect record at Thomond Park in 2016 across all competitions, but away form has been a little patchy at times. The last meeting at the Sportsground went 35-14 in favour of the Green Army on their way to last seasons monumental PRO12 campaign, however this season both teams fortunes could not be more contrasting. Munster sit atop the table thanks to their St Stephens day triumph, whilst the defending champions sit closer to the foot of the standings than the top, old habits eh? Kiwi international Francis Saili makes his first start this season, bizarrely relegating his (temporary) replacement Jaco Taute to the bench and boy does he need to get back up to speed quickly. On his day, Saili is as capable a line breaker as Ulster’s Charles Piutau and as good a finisher as his counterparts Zebo & Earls. Now with Taute signing an extension to his deal until May, he and Saili are in pretty much direct competition for the rest of the season as to who will be retained (if either of them are). Third in the tackle charts, interim Munster captain and his Irish debut all in the last few months for Billy Holland, not exactly poor lets be honest. A long time coming for the 32 year old, but deserving nonetheless. A model of consistency over the last 10 or so seasons, this weekend sees Holland’s incredible versatility on show as he captains the men in red from blindside flanker. 878 meters gained this season, that’s an average of about 80 per game for Connacht’s flying fullback Tiernan O’Halloran. When Rob Kearney was installed as Ireland’s first choice 15 prior to the November Internationals, O’Halloran may have felt hard done by. However a brace of tries against Canada will have to do until the Six Nations. Blessed with blinding pace and an uncanny knack of almost always running a superb line, O’Halloran is indispensable to the Westerners and is a shining light in an otherwise dull season. CONNACHT: Tiernan O’Halloran; Niyi Adeolokun, Rory Parata, Peter Robb, Matt Healy; Jack Carty, Kieran Marmion; Denis Buckley, Tom McCartney (capt), Finlay Bealham, Quinn Roux, James Cannon, Nepia Fox-Matamua, Jake Heenan, Naulia Dawai. Replacements: Dave Heffernan, JP Cooney, John Andress, Lewis Stevenson, Daniel Qualter, Caolin Blade, Ciaran Gaffney, Rory Moloney. MUNSTER: Andrew Conway; Keith Earls, Francis Saili, Dan Goggin, Ronan O’Mahony; Ian Keatley, Duncan Williams; James Cronin, Rhys Marshall, Stephen Archer, Jean Kleyn, Dave Foley, Billy Holland (capt), Tommy O’Donnell, Jack O’Donoghue. Replacements: Dave Kilcoyne, Kevin O’Byrne, Thomas du Toit, Robin Copeland, Conor Oliver, Te Aihe Toma, Rory Scannell, Jaco Taute. The final pro 12 fixture of the year for both sides could not be more important for vastly differing reasons. 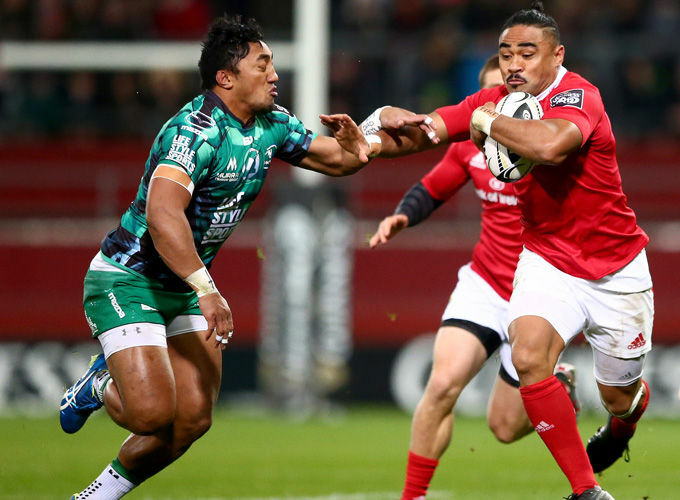 Munster to consolidate their position at the top of the standings, Connacht to avoid matching their Premier League counterparts Leicester City in making a poor defence of their previous seasons triumph. Twenty plus players injured is no easy feat to overcome, even in the Wild West. Munster Haka Team’s 2017 World Rugby Predictions!